Bu-Xuan Wang is Professor Emeritus of Thermal Engineering at Tsignhua University in Beijing, one of the top academic institutions in China. Wang graduated from Purdue in 1949 with a master’s degree in mechanical engineering. Upon graduation, Wang returned to China, where he taught at Beijing University for two years. He then joined the faculty of his undergraduate alma mater, Tsinghua University, in 1952 and was appointed full professor in 1961. Wang established the Teaching and Research Group on Thermodynamics and Heat Transfer in 1952, and has since continued to facilitate its growth. Wang’s contributions to research have included authorship of over 400 scientific papers and work as a contributing editor of numerous national and international journals. From 1963 to 1966, Wang applied his research interests in heat energy transfer by leading research teams that were able to double the daily ammonia synthesis of Chinese industrial plants by enhancing heat transfer and reducing energy loss. During the 1970s, Wang conducted studies to protect against soil erosion and melting under railbeds that prevented trucks running year-round. Wang actively mentors and advises young graduate students and has made numerous contributions to different fields of research, leading industrial projects working to solve issues of national importance. His primary contributions have come in the development of heat and mass transfer fields, but he also conducted research in biomedical heat transfer, the thermophysical properties of matter, energy planning, and solar energy utilization. 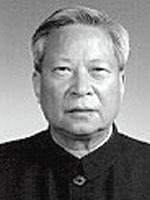 In 1980, Wang was elected as an Academician of the Chinese Academy of Sciences, considered to be the highest national honor for scientists. He was awarded with the Energy for Mankind Prize by the Global Energy Society in 1986, the National Natural Science Prize in 1989, and the Progress in Science and Technology Prize in 1992. He also was recognized with the Lifetime Achievement Award at the Asian Thermophysical Property Conference in 2010.